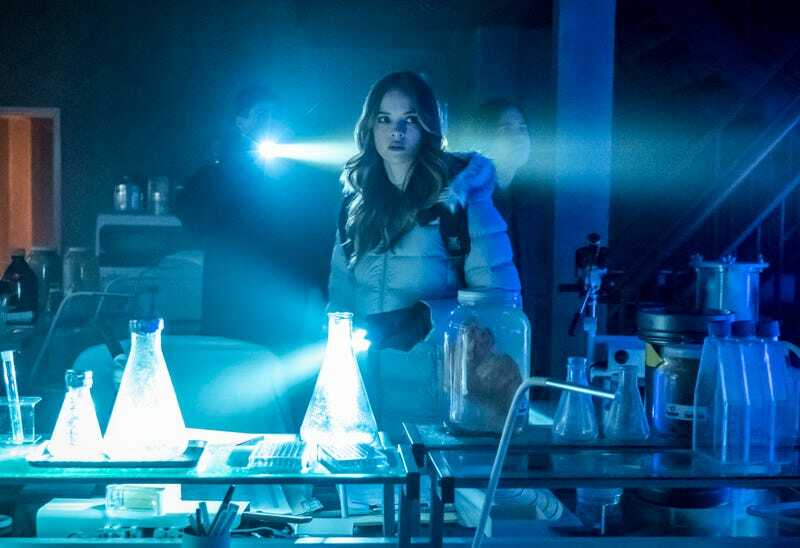 The disappearance of Killer Frost has been one of the less compelling running storylines this season, so it stands to reason that an episode focused on that plot strand would end up being a lethargic lull. It’s not that I don’t enjoy Danielle Panabaker’s work as Caitlin Snow’s alter ego; Killer Frost usually provides a boost when she makes an appearance. But I always assumed she’d be back sooner than later, and never spent much time worrying about the mechanics of how that would happen. Thomas (Kyle Secor) recognizes Caitlin immediately even though he hasn’t seen her in twenty years, because he’s got a one-way video feed of STAR Labs to keep him entertained at the otherwise deserted facility. His story is that he had ALS and was experimenting with a cure, but due to side effects he was forced to quarantine himself, and eventually locked away there by Caitlin’s mother. Said side effects include the crystallization of his skin, something Caitlin can cure back at STAR Labs. Something is fishy here, though, and Cisco uses his limited vibe power to discover that Snow is not Caitlin’s father, but rather a villainous alter ego wearing a skin-grafted false face. Cisco’s discovery doesn’t go over well with Caitlin, who refuses to believe it until Icicle (the alter ego named by Nora, not Cisco) escapes to a DoD laser cooling array where he can achieve absolute zero and inject himself with a serum that will eliminate the last traces of Thomas in him. (Yes, the Department of Defense has a laser cooling array. Military spending is really out of control.) At a crucial moment before everyone freezes to death, Killer Frost re-emerges to send Icicle scurrying away to fight another day. This is all about giving Frost a new origin story: she is the product of Thomas Snow’s efforts to save his daughter from ever suffering from ALS, which explains why she’s been part of Caitlin much longer than previously thought. DeVoe didn’t take Caitlin’s power, but only created a mental block preventing her from accessing that side of her. It makes sense that the relationship between Caitlin and Frost has a stronger emotional base than simply “dark matter did this,” but it all plays out in rather rote fashion. 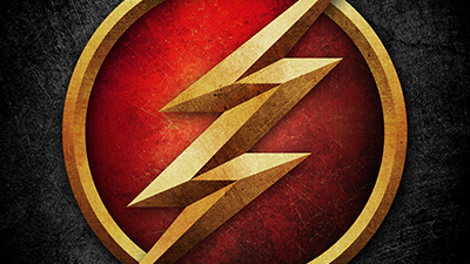 There’s a bit more fun to be had with the other members of Team Flash splitting up into unlikely subsets. Ralph and Cecile investigate a FEMA site in hopes of getting a clue to Cicada’s identity, and there’s some broad comedy about Cecile calling on her fearsome District Attorney persona to get the answers they need. It’s very sitcom-like and doesn’t really work, but Ralph and Cecile make for an appealing team. Nora has flipped from resenting Iris to idolizing her on the basis of her daring rescue of Barry last week. She tags along with her mother and Sherloque as they try to find the core of satellite Sally, and even goes so far as to take speedster tips from Iris. It’s...cute. Overall, though, it feels like “The Icicle Cometh” got the short end of the season’s budget. There’s not much action at all, and Barry doesn’t even suit up until the last few minutes. The supporting characters deserve their days in the spotlight, but Thomas Snow gets it right in the end: cold and speed don’t mix. Cicada takes out a meta who can turn her arms into swords, but gets stabbed in the process. As he tells his daughter’s doctor, this only makes him stronger.